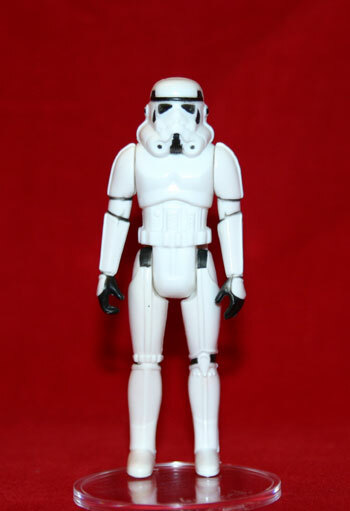 The Stormtrooper action figure seen here is referred to as a first shot. 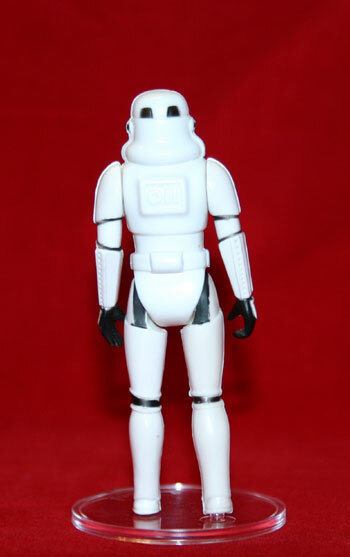 Prototypes of the Original 12 action figures are probably the most rare, and sought after, of all prototypes. Figures from this early in the line are regarded as the pinnacle of prototype collecting by many. The next shot shows the back of the figure. Take notice that it has no copyright or COO markings on it. These marking are something that would later be added to the steel molds. This figure is sonic-welded and mask-painted making this a pretty late in the production process first shot. This was probably the last step before production began. Wayne has a focus on Original 12 first shots. Those interested may also like to view some of his other pieces featured on the SWCA.